NAGPUR: Australia skipper Steve Smith has blamed his team’s poor decision making under pressure after their demoralising 4-1 loss to India in the five-match ODI series. The visitors suffered a seven-wicket thrashing in the final ODI in Nagpur on Sunday to slip to third in the world rankings. They started the series in second spot. The latest defeat was Australia’s 12th loss in their last 15 ODIs away from home — a worrying loss of form for the team just two months ahead of a home Ashes series against England. Australia, who came to India off the back of a disappointing Test series in Bangladesh that ended 1-1, failed to capitalise on favourable positions throughout their four losses. The visitors allowed India to reach 281-7 after having them reeling at 87-5 in the first ODI. 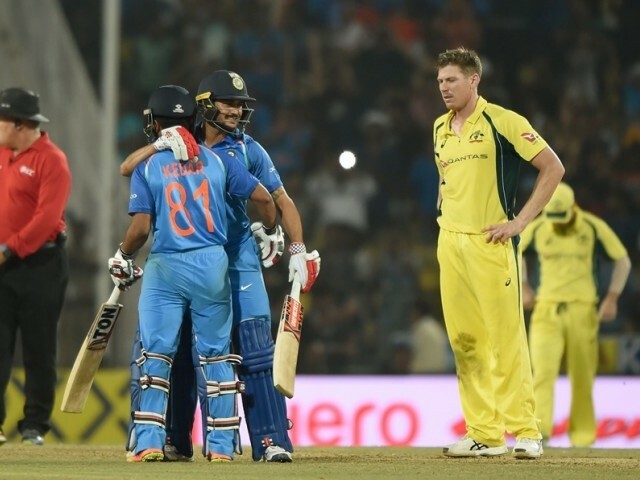 The Australian batsmen also faltered against India’s wrist spinners. Top Australian batsmen were guilty of not converting their starts into bigger scores, costing the visitors against a formidable Indian side. Smith’s own form with the bat was not up to his usual high standards in the five matches, scoring 142 runs with two half-centuries. David Warner and Aaron Finch were the only Australian batsmen to make centuries. Smith played his 100th ODI in the series, having made his debut back in 2010. Australia now head to Ranchi for the three-match Twenty20 series starting Saturday. The second and third T20s will be played on October 10 and 13 in Guwahati and Hyderabad.